Friends of Kids with Cancer | 6th Annual Jake's Crew Trivia Night Raised $19,000! 6th Annual Jake's Crew Trivia Night Raised $19,000! Jake's Crew Trivia Night was not only successful, but two more iPads were presented to patients Zaria and Elizabeth and their families shared heartfelt stories of their journey through cancer treatment. The money raised at this trivia night directly support Jake's Crew iPad Fund. This fund is the legacy of Jake Franzel, who lost his battle with cancer four years ago. Jake wanted to give back and provide an outlet for teenagers in treatment to stay in touch with friends, keep up with homework and be entertained. Learn more about this fund and how you can support Jake's legacy, HERE. 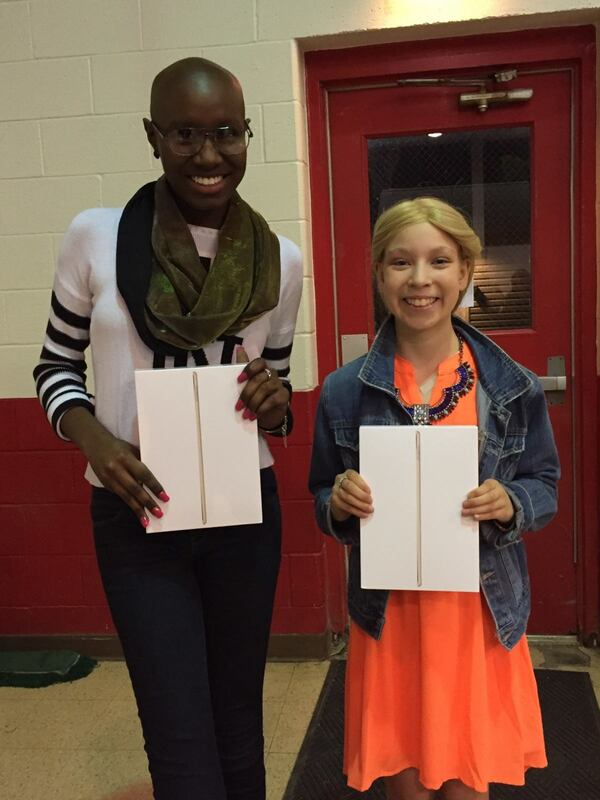 Zaria and Elizabeth with their new iPads!